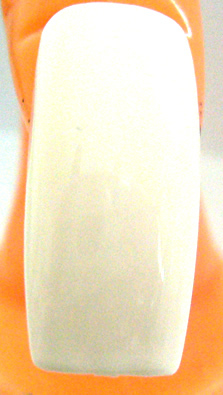 Apply 3 dots onto the white with 3 different colours, we used less of the darker colours so they would not over power the lighter colour. 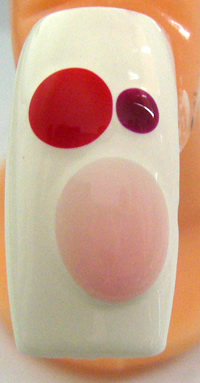 Using the dotting tool swirl the colours together over the nail. Finish with 2 coats of top coat to seal. 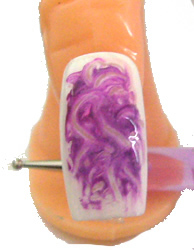 With this nail we used 2 different purples and a light pink." 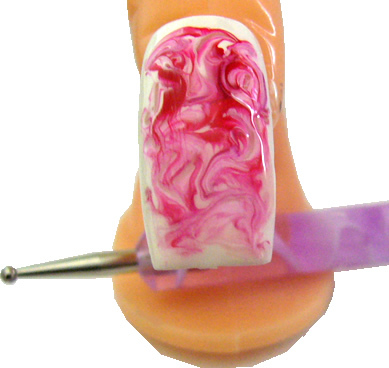 Another Marbling method using plastic. 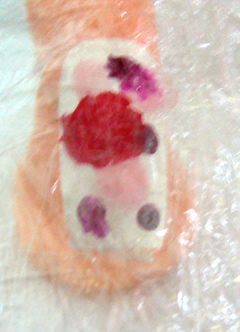 Using plastic (we used folded cling wrap, place the plastic over the nail and push the nail polish around to spread it over the nail. 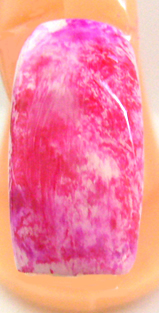 You can add more polish if necessary by repeating this process. 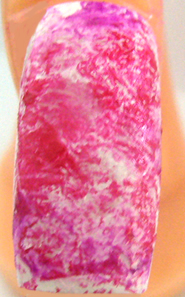 We applied 2 coats of top coat and this is the finished nail. To easy.